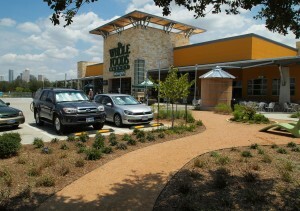 The largest retail store in the state is now open for business in The Colony, Texas. Nebraska Furniture Mart, which boasts a 560,000 s.f. showroom and 1.3 million s.f. distribution center, celebrated its Grand Opening on May 7th. The store will be the anchor of the 433-acre development, Grandscape, which is planned to include three mixed-use villages on a pedestrian spine, with specialty shops, restaurants, hotels, theater, office, pocket parks and a large entertainment amphitheater. 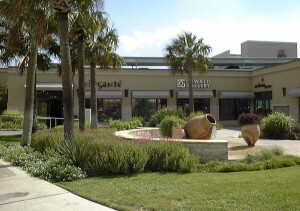 RVi is providing urban design and landscape architecture services for the entire Grandscape Development. 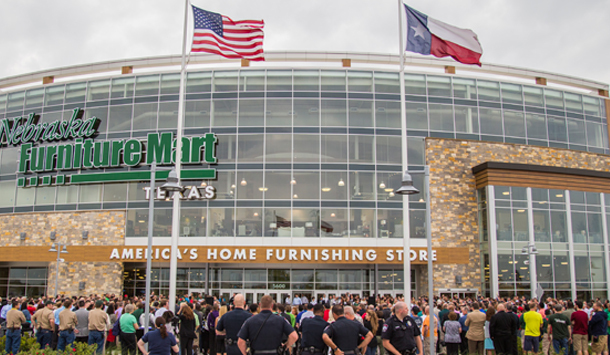 Nebraska Furniture Mart is owned by Warren Buffett’s Berkshire Hathaway Inc. Mr. Buffett was in attendance for the store’s Opening Gala on April 8th, where he entertained the crowd by auctioning a large white Stetson Cowboy hat. He also took open questions from the audience regarding his personal feelings about family, the importance of contributing to society, business success strategies, and even a few humorous predictions for the 2016 Presidential Election. Wow that sure is a “massive” place, congrats on the new project!